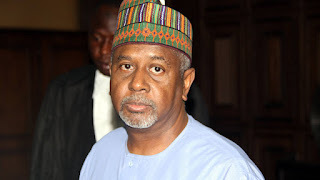 The immediate past National Security Adviser (NSA), Colonel Mohammed Sambo Dasuki (rtd), has alleged before an Abuja High Court that the federal government planned to ambush him with double jeopardy in the three criminal charges against him in three different high courts in Abuja. Dasuki said the federal government in the quest to nail him has engaged in gross abuse of court and legal process by instituting various criminal charges against him on just one issue. In a motion he filed to challenge the alleged abuse of court process by government, Dasuki said it was wrong in law and even against natural justice for the government to arraign him before two different high courts of the Federal Capital Territory (FCT) on the same sections of the law and on the same alleged arms fund. In the motion filed by his lead counsel, Mr. Joseph Daudu (SAN), the ex-NSA insisted that the two charges be consolidated by the authorities of the court in the interest of justice, in order to rescue him from double jeopardy planned for him by government. “The defendant is not afraid of trial but the due process of the law must be followed in the interest of justice,” the motion said. Meanwhile, the court has adjourned hearing in the motion for consolidation of charges to October 5, 2016. At the resumed trial on Monday, prosecution counsel, Rotimi Jacobs (SAN), informed the court that lawyers had agreed that the motion be adjourned for hearing in October because of the absence of the lead counsel to Dasuki. Justice Hussein Baba-Yusuf after hearing the lawyers, fixed October 5, 2016 for definitive hearing on application for the consolidation of charges against Dasuki. Daudu had at a previous sitting informed the court about a fresh motion seeking to consolidate charges against Dasuki with another case before Justice Peter Affen of the same FCT High Court. The ex-NSA in the motion on notice claimed that the trial in two different courts on the same issues and facts is unconstitutional and prejudicial to his right to fair trial by the court. Dasuki who is standing trial on allegation of alleged misappropriation of $2.1billion along with four others before Justice Baba Yusuf, insisted that the charges against him by the complainant on the same issue constituted a gross abuse of court process. In the motion brought pursuant to Section 6 and 36 of the 1999 Constitution and Section 1, 208, 396, 491 and 492 of the Administration of Criminal Justice Act (ACJA) 2015, Dasuki claimed that the two charges revolved around the same set of transaction and facts on the alleged funds misappropriation and the breach of trust. He claimed that the two charges with No FCT/HC/CR/43/2015 and another one with FCT/HC/CR/42/2015 pending before Justice Baba Yusuf of the High Court No 4 and Justice Peter Affen of High Court No 24 respectively are identical charges emanating from the Office of the NSA and as such must be consolidated in the interest of justice and fair trial to avoid double jeopardy. The applicant further claimed that to stand trial before two different courts and two different judges on the same set of facts and purported transaction of the office of the NSA will be prejudicial and great hardship against him as he stands the risk of double jeopardy having being charged in two different courts on the issue. In the alternative, Dasuki prayed that his name be struck out from one of the two charges in the interest of justice. The others parties in the matter are former Director of Finance and Administration, Office of the NSA, Shuaibu Salisu; former General Manager, Nigerian National Petroleum Corporation (NNPC), Aminu Babakusa and two firms: Acacia Holdings Limited and Reliance Referral Hospital Limited.